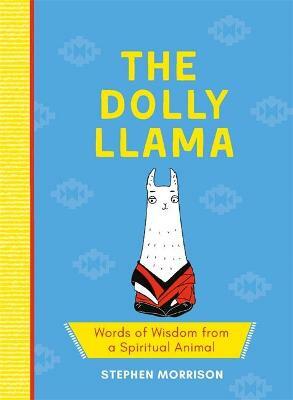 The Dolly Llama, the world's first behooved spiritual leader, shares his words of wisdom and spiritual teachings for the first time. In this gem of a book he shows you how cultivate Llama Karma and to bring peace, compassion and `cuditation' (a form of chewing and meditation) into your everyday life. His Gentleness has drawn great inspiration from `the four bales of wisdom' which have helped many grazer browsers before him on the rocky path of life. Take a leaf out of this book and learn how Llama Karma can help you harness inner calm, as well as cope with everyday problems like hoof infection. His gentleness the Dolly Llama is a spiritual leader of most even-toed ungulates in the Andes, Peru and some parts of Bolivia. He has devoted all fourteen years of his life working tirelessly to help teach the findings of `Llama Karma' to Alpacas, Camels, Bactrian Camels, Wild Bactrian Camels and of course Llamas. Today he lives in exile, on a petting farm in Dulwich, London. Stephen Morrison is a man from the north of England. He has worked as a bee negotiator, swan counsellor as well as in lower admin. This is his first work as a spiritual llama interpreter. Ja Cie Brosze is an illustrator from Poland. Her Instagram is @jaciebrosze, where she has 11,700 followers, and her website is https://jaciebrosze.pl. She also sells her work on Etsy at JaCieBrosze.